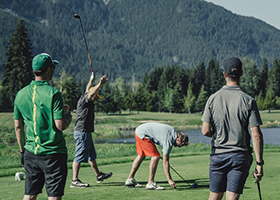 Nicklaus North is excited to offer our periodic email newsletter "The Insider", or sign up for our monthly GolfBC eNews for special offers and promotions at Nicklaus North and all GolfBC courses! Registration is FREE, and you can unsubscribe at any time. If you have already registered, login to update your profile and indicate that "yes", you would like to receive eNews (view the current issue).